It’s been a hectic last few months as committees and task forces have had their nose to the grindstone in developing regulatory recommendations for the control of newly legalized recreational marijuana. It’s taken them 80 days in all to come up with their list of proposed rules. Now the issues will go before lawmakers for another round of debate, critique, and no-doubt changes. 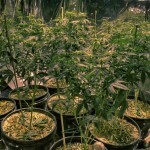 One of the recommendations is that all marijuana must be grown inside. Governor John Hickenlooper was pleased that the panel had finished their work. He gave them a thank you but no “job well done”. There won’t likely be any such compliments from Hickenlooper in regards to recreational pot, as he has oddly said he believed it will increase the number of homeless teenagers. Marijuana advocates are concerned that these higher taxes will keep marijuana on the black market rather than the newly legal market. “I feel like so much time has been spent on flat-earth concerns that we’ve missed the boat to the new world,” said medical marijuana business owner Jessica LeRoux, according to the Denver Post. Advocates had to know that if and when recreational marijuana was legalized, the state wouldn’t let it go without a mountain of regulations. These regulations aren’t only so the state can adequately fund the new system and even turn a profit on it, but so smokers can enjoy their pot with clearly stated rules in place. In other words, officials are hoping for no gray areas. In all, the task force debated 100 issues related to implementing Colorado’s new recreational marijuana program. Now their recommendations go to lawmakers. And while some lawmakers are not happy about legalization in the first place, we have to hope they can calm their qualms enough to pass sensible regulations in a reasonable amount of time. Despite legalization, it is still entirely possible to run afoul of marijuana laws in Colorado. If you are arrested and charged with any drug offense—whether it’s marijuana or cocaine, or something else entirely—we may be able to help. Call us today to discuss your case and the legal options available to you. So if I bought a timeshare in a building and consumed there with other “Time Share ” owners, would that be considered a “Social Club” or a time share property?